For many people who suffer from severe allergies, access to medication can mean the difference between life and death. The Senate recently gave final approval to a bill that would expand access to non-patient specific epinephrine injectors in many venues where patients face the greatest risks. The legislation would allow restaurants, sports venues, amusement parks, colleges, daycare facilities and other entities to store injectors for emergency use. Under current law, only schools are allowed to store injectors without a patient-specific prescription. I introduced similar legislation last year that was approved by the Senate in June. More information about the bill is available here. I enjoyed the opportunity to meet with teachers, administrators and students at Trinity Area High School and be educated about the “fab lab”, where students learn digital fabrication, robotics, and other STEM skills, in addition to the year-round hydroponic farm on the school property. School safety is one of my highest priorities, and I have supported a number of bills designed to ensure a safer learning environment for students. Local schools recently were awarded more than $382,000 in grants to help boost student safety. A complete list of school districts that received grants is available here. Schools can also apply for additional school safety grants through a new program that was approved along with this year’s state budget. Applications will be accepted through October 12 for the new School Safety and Security Grant Program. Application information and additional details are available here. In addition, I was proud to work with Rep. Jason Ortitay to secure $100,000 in funding for roof repairs and mold remediation at Burgettstown Area Middle-High School after the building had to be closed due to air quality issues. Additional information on the grant is available here. The newest edition of my “Focus on the 46th” TV show features a behind-the-scenes look at Trax Farms in South Hills as the organization celebrates its 150th anniversary. The show not only highlights the incredible products that are grown on the farm, but also the fun and educational activities that are available for local families. The entire show is available for viewing here. Lawmakers recently took action on a number of bills related to public safety, including Senate Bill 172, which provides a five-year trial period for PENNDOT to place speed cameras in active work zones on limited access highways. The bill was sent to the Governor to be signed into law. Senate Bill 180, which updates and revises state law relating to organ and tissue donations. House Bill 1294, a bill that would allow for a special Purple Heart license plate for motorcycles that is similar to the one currently available for cars and trucks. Senate Bill 1237, addressing challenges faced by rural hospitals. Senate Bill 912, which provides greater access to in-home care by extending “presumptive eligibility” to those who meet the qualifications for Medicaid. Senate Bill 1073, legislation that extends the Pennsylvania Heart and Lung Act to include several law enforcement entities that are not currently protected by this coverage. Senate Bill 623, a proposal to update and revise Pennsylvania law to include the codification of Pennsylvania Orders for Life Sustaining Treatment to be used by medical professionals. 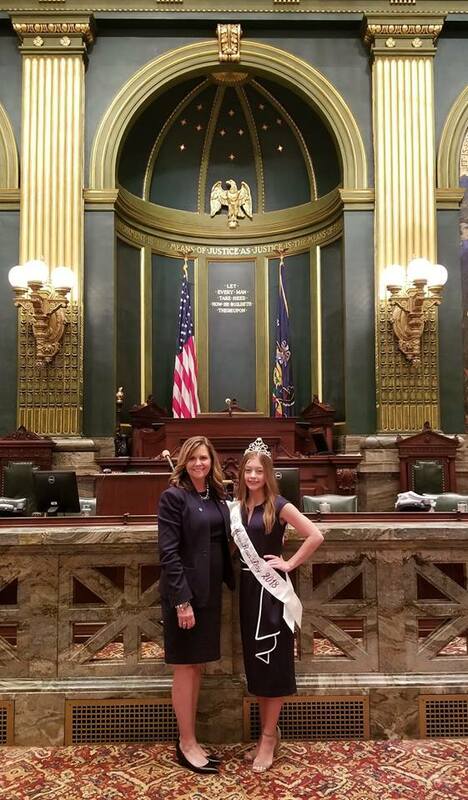 I was pleased to welcome and introduce the 2018 Miss Rain Day – Miss Loren Schroyer – and her family and pageant representatives during their visit to Harrisburg. 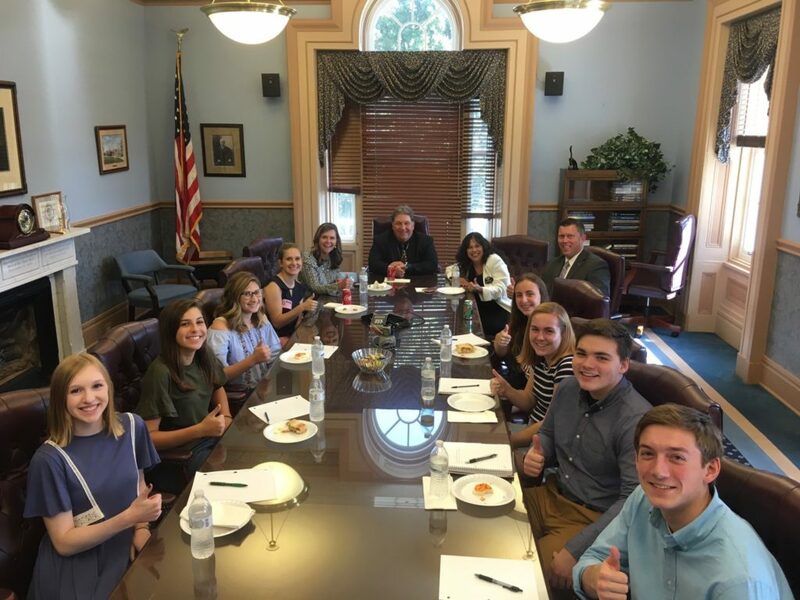 The annual Miss Rain Day Scholarship Pageant is a popular Greene County summer event with a history dating back to the late 1800s. 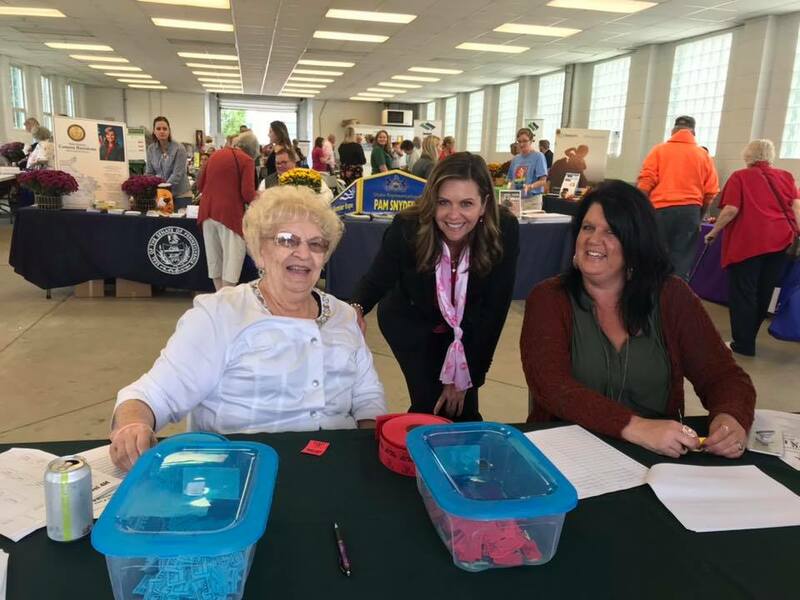 My thanks goes out to all of the attendees and vendors who helped make the Washington County Senior Expo and the Greene County Senior Fair an overwhelming success! Both events featured a great deal of information on federal, state and local programs available to assist older community residents, including details about health insurance coverage, prescription assistance, transportation, long-term living and other services. I appreciated the chance to speak with community residents at the Greene County Senior Fair. Seven local volunteer fire companies received state grants this week through a program designed to support rural firefighters and prevent wildfires. Amwell Township Volunteer Fire Department, Amity. Volunteer Fire Department of Carroll Township, Monongahela. Cokeburg Volunteer Fire Company, Cokeburg. Elrama Volunteer Fire Company, Elrama. Lone Pine Volunteer Fire Department, Washington. Marianna Volunteer Fire Company, Marianna. Stockdale Volunteer Fire Department, Stockdale. Details on these grants are available from the Department of Conservation and Natural Resources website found here.